Children’s nurse Laura Oakes with patient Mason Thompson. Children undergoing surgery in Hull are to be ‘driven’ to the operating theatres in a Tesla electric car. The miniature version of the electric car has been donated to Acorn Ward at Hull Women and Children’s Hospital and will be used to transport children to theatre as well as for scans. The Tesla Owners Club UK and the Christian Blandford Fund, a charity helping children facing long stays in NHS hospitals, are donating the car to make the experience of undergoing surgery less daunting to younger patients. Joanne O’Conner, sister of Acorn Ward, said: “We do our best to make the experience of surgery or going for scans less intimidating and frightening for children. “Our new car will make it far more exciting when the children discover they will be able to drive themselves to the theatre. Billionaire entrepreneur Elon Musk, who bought Tesla Motors in 2003 to bring electric vehicles to the mass market and is now working on space travel, has supported the donation, helped by the WISHH Charity supporting Hull Royal Infirmary and Castle Hill Hospital. 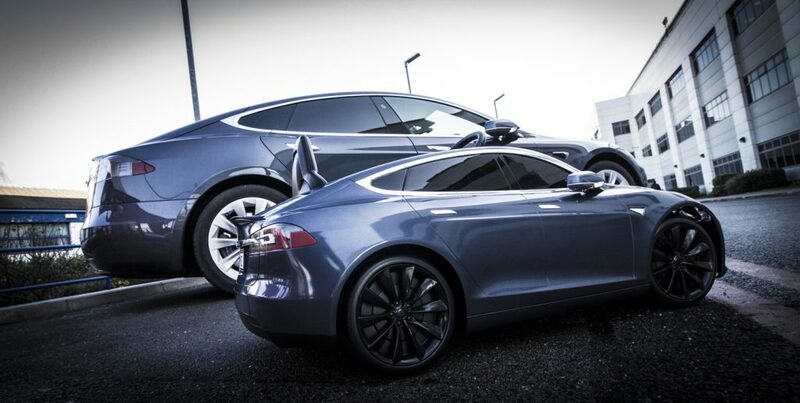 The Tesla Model S for Kids car in midnight silver has a full sound system and room for a teddy bear in the boot. Suitable for children aged three to eight, the car is powered by an electric battery with the patient able to sit behind the wheel. Tesla car owners Julian Hakes, Josh Cunningham and Karl Smith came to the hospital to hand over the car and treat staff, visitors and patients to displays of their own cars, including one’s “dancing” features. Deryn Harvey, Mini Tesla Coordinator at the Tesla Owners Group UK, said:“ The car is sure to bring joy and alleviate anxiety in young children in hospital. “This mini-Tesla is one of 500 we have placed across the country thanks to our members’ donations. Be the first to comment on "Tesla electric car ‘drives’ children to Hull operating theatres"